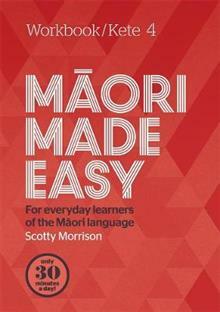 The accessible guide to learning the Maori language, no matter your knowledge level. Fun, user-friendly and relevant to modern readers, Scotty Morrison's Maori Made Easy workbook series is the ultimate resource for anyone wanting to learn the basics of the Maori language. While d... read full description below.